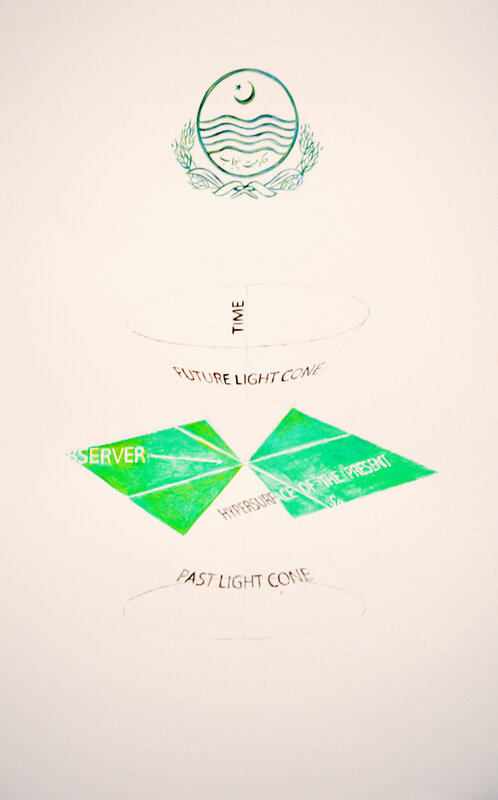 Hypersurface of the Present is a drawing installation that maps out how green light functions as a mode of spirituality perpetuated and disseminated by Pakistani nationalism, Islamic orientalism, populist green screen interface, and light therapy. 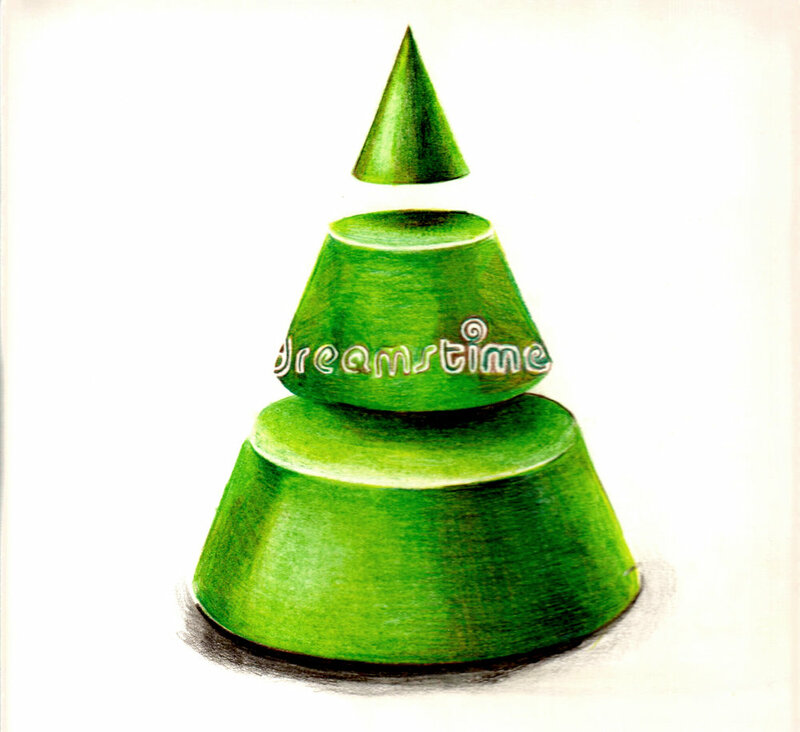 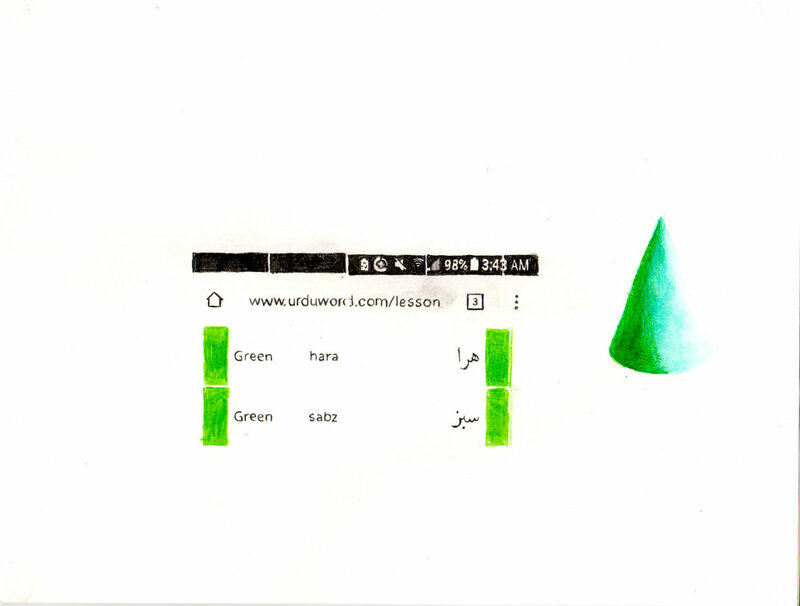 The absurdist diagrammatic pencils on paper depicts visual perception essentially highlighting a green cone as a stand in figure for state hegemony. 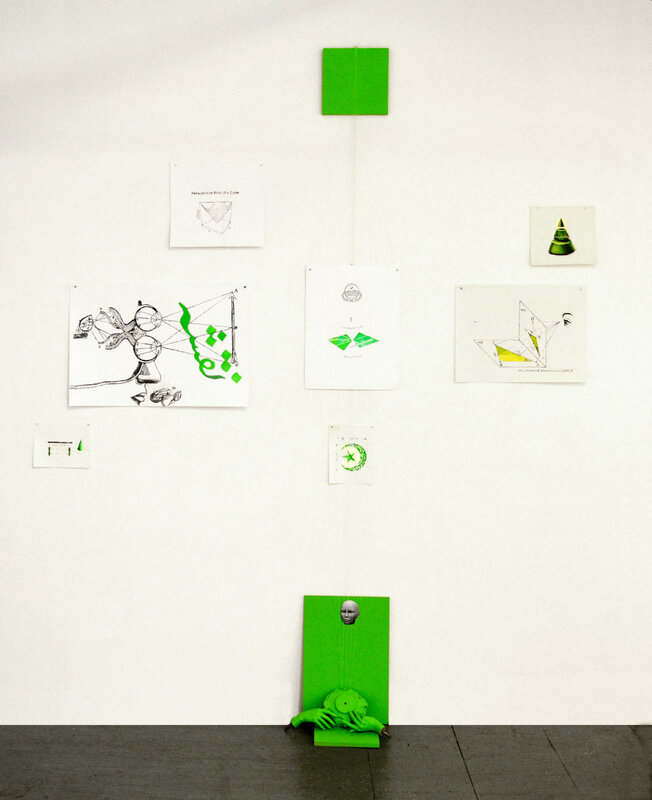 The materials presented are research materials around the artist’s in progress/extension animation series, Atomi Daamaki Wali Mohabbat (The Atomically Explosive Love).